You are here: Home / Education Center / Is Hypnosis a Placebo? When people hear about medical hypnosis, they often ask “Is hypnosis is a placebo?” Well, yes and no. Placebos are assumed by many as ‘fake’ medicine. It can trace its poor reputation back to Franz Anton Mesmer in the late 1700’s. He used trance and magnetism to successfully cure his patients of disease. He claimed that a force pervading the universe called animal magnetism could cause illness when perturbed and that he and his disciples could detect that magnetism and de-perturb it curing the patient with his methods and his methods alone. King Louis XVI, receiving complaints about the success and bold claims of Mesmer from doctors in Paris, sent a commission, formed by Benjamin Franklin, Lavoisier a chemist, Bailly an astronomer, and Guillotine a physician to investigate Mesmer’s methods. 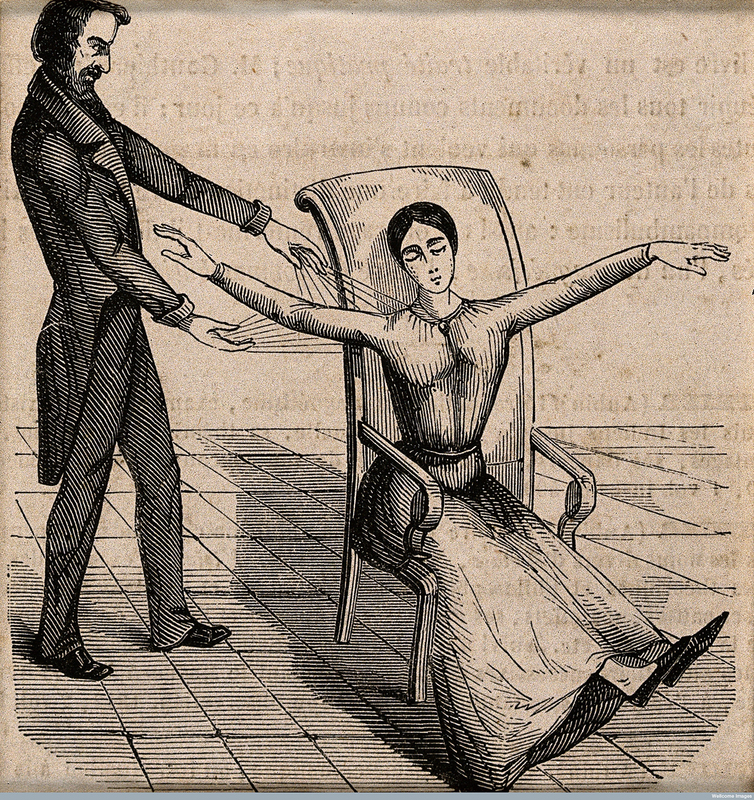 The commission was probably the first scientists to blindfold participants in their trials (They decided it would be the best mechanism to determine if the effects of mesmerism were still effective even when the patients couldn’t see). What was discovered trial after trial was that, whether the doctor was doing something or not with the patient or whether he was even in the room, the patients still responded favorably to Mesmer’s methods. The hypothesis of Mesmer, that it was his methods that were curing his patients, was nulled. The commission concluded it was not the doctor that produced the results but the patients “imagination singly produces all the effects attributed to the magnetism”. Charles d’Eslon, the Mesmer disciple conducting the tests, did not oppose the conclusions of the commission. Instead, he had the opinion that imagination, “directed to the relief of suffering would be a most valuable means in the hands of the medical profession”. Medicine never pursued this valuable means, and instead, looked for ways to split imagination away from what they considered to be true medicine (and this is where placebo began), just as a few centuries earlier science had also split off what it deemed was true science. In this case splitting mind from matter. Science has now, through quantum physics, come to realize its error and, some brave scientists, have begun to explore the link of mind and matter. What if medicine were to boldly explore the link between mind and imagination with the healing of the physical body? 200 year’s after Mesmer’s claim, quantum physics stumbled upon the same force of the universe. As Max Planck, the father of quantum physics concluded, “All matter originates and exists only by virtue of a force… We must assume behind this force the existence of a conscious and intelligent Mind.” Could the force Mesmer called animal magnetism, not be what Planck calls consciousness and intelligent Mind? Additionally could the perturbances of this force that cause disease, not be the perturbances of our own individual consciousness and mind? Research on the effects of negative emotions, stress, grief, inner conflicts, trauma and other psychosocial factors in the development of disease demonstrate the influence of these mental perturbances on our health. The conclusions of the commission sent by Louis XVI could indeed refer to the mind as being the most powerful contributor to relieving suffering and healing from illness. Thus medical hypnosis, with its use of the individual’s imagination in trance states to influence the body and de-perturb the individual mind, would, yes, be considered a true placebo indeed.